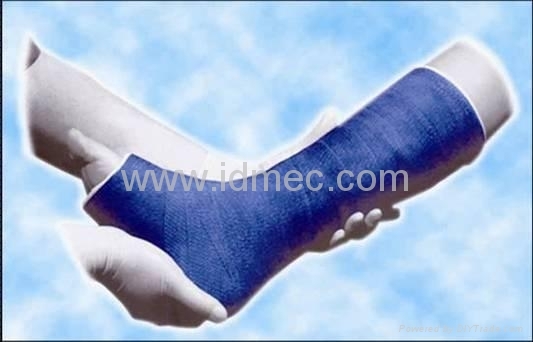 Fiberglass bandage, also called high Polymer Bandage, is made of multi-layer polymer polyurethane which would be saturated through special fiberglass. Polyurethane contains a chain of soft block copolymers with the advantages of quicker curing and stronger hardness after curing and lighter in weight. A. Stronger hardness and lighter weight. B. Lacunaris and good ventilation. G. Convenient operation and good plasticity.